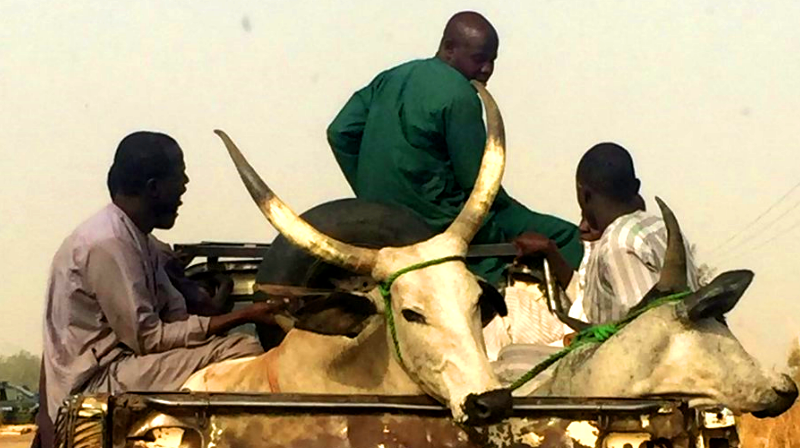 As the battle of land, water resources and grazing routes rages on between the cattle herders and farmers in Nigeria, about 100 gunmen who were suspected to be herdsmen stormed Gashish District, Barkin Ladi local government area of plateau state and began a shooting spree which claimed numerous lives and properties in the area. Affected areas in the attack include; Xland, Gidin Akwati, Ruku, Nghar, Kura falls and kakuruk all in Gashish District as well as a number of areas in Riyom and Jos South Local Government Areas in Plateau state. The attack which was said to have lasted for an estimated time of about 8 hours on Saturday 23rd June 2018 claimed scores of lives of mostly people who attended the burial ceremony of the father of a well-known clergy man by the name Baba Jakawa, at Gidin Akwati, Gashish District. The burial ceremony was said to have attracted a large number of sympathizers in their hundreds. Reports claim that the indigenes were all heading back to their various houses after the burial ceremony before the attack began. The Plateau state police command reported that 86 bodies were found after the deadly attack with scores of properties destroyed in the process. TheGuardian newspaper reported a total of over 170 deaths and over 50 houses destroyed in the attack. Whereas, the residents in the communities affected gave an estimate of over 139 loss of lives as a result of the attack. The Nation newspaper gave an account of over 100 dead persons and over 50 houses destroyed in the attack. Thisday newspaper reported that about 100 lives were lost but residents insisted that over 150 people lost their lives in the attack, 50 houses were torched down and over 8 people were hospitalized. Premium times had reported over 100 people were killed in the deadly attack while residents disclosed that over 120 people lost their lives in the ghastly attack, meanwhile police claim a total of 11 lives were lost. The newspaper also gave an account of 50 houses destroyed, over 6 people with various degrees of injuries hospitalized. Also, 15 motorcycles and 2 vehicles were as well as over 20 other cars damaged in the deadly attack. The Punch newspapers reported that the victims of the attacks were over 200, that according to Peter Gyendeng the Chairman, Public Accounts and Petition Committee in Plateau State House of Assembly representing Barkin Ladi constituency, and the President of Middle Belt Youth Council, Emma Zopmal, that there was a planned secret burial which they believed was to cover up gory details of conspiracy and complicity of soldiers in the killings. 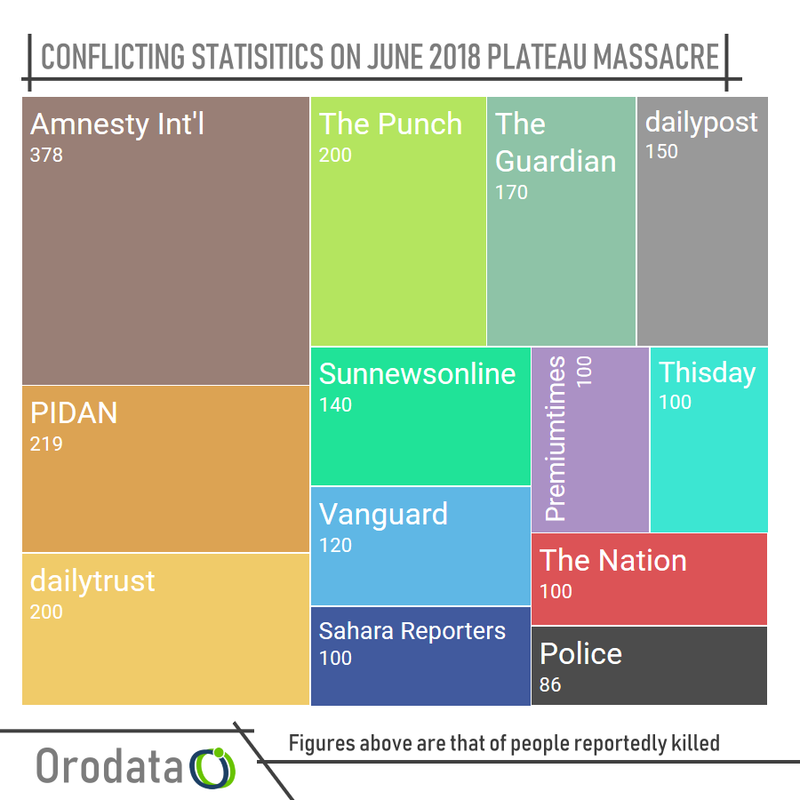 In a recent news report from the Nigerian Union of Journalists (NUJ) Press Centre, Jos, the National President of Plateau Initiative for Development and Advancement of the Natives (PIDAN), Dr. Aboi JK Madaki, has said that 219 bodies had been recovered in recent attacks in Plateau state but that however corpses were still coming in. Yesterday Amnesty international put the figures of people killed between Jan-June 27, 2018 at; Benue 378, Plateau 340, Zamfara 217. Inconsistencies in media reportage shows a crisis in statistics, and that everyone is just speculating and such bandying of figures is quite problematic. The truth is that we may never know what the truth actually is or how many people exactly were killed except we go with the figures being reeled out by Nigerian Union of Journalists (NUJ) Press Centre, Jos, a figure we are sure the government would not want to agree to. There has hardly been a time when figures from the police or military personnel tally with that of the community and this ought to raise questions on transparency and accountability. Nigeria by default runs on an opaque system, one that stifles information and refuses to oblige citizens’ rights to access information. In times of conflict like this, the government continues to show a lack of integrity. If it is not beating down the media and security agencies so that the actual details and extent of crisis are not totally revealed to prevent it from being held accountable, it is apportioning blames to the previous administration. In an episode of government apportioning blame of challenges it has been unable to address – to misgivings and failure of its predecessor, it will be recalled that earlier in the year the Special Adviser to the President on Media and Publicity, Mr. Femi Adesina was reported by the Punch newspaper to have said that the killings didn’t start under President Buhari. A government that refuses to admit that there is a problem would never be akin to solving it, and this here is a crisis on the crisis we have at hand. Lives are being lost daily, another attack has just been reported as of the time of this writing. With this, we see there is a lack of political will to mitigate further crisis that was allowed to ferment over the years due to bad leadership, corruption, government negligence to intelligent reports on crisis, poor security framework and poor enforcement of punishment to crime.